To benefit children and adults with special needs or disabilities by offering them the opportunity to interact with dedicated horses in a manner that promotes physical, mental, and emotional wellbeing. 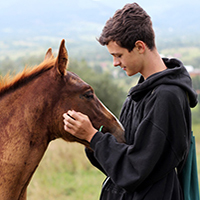 We believe people can develop therapeutic relationships with horses in a way that encourages healing and improved self-esteem. Therapeutic Horsemanship is a hands-on program that uses the interactions and relationships between horses and humans in an environment of learning and self-discovery. It is designed to promote personal growth and the development of positive social/life skills in a fun and supportive environment. Through a curriculum of activities designed to address individual goals and needs, each equine interaction is framed to help participants learn and grow. The barn environment naturally lends itself as a unique multi-sensory classroom. Each week the participants explore a new concept (i.e. trust, body language, managing risk, boundaries) through the eyes of their horse. As comfort and confidence levels grow, students tackle new activities, building their self-confidence. This program is designed to build confidence, leadership and horse knowledge, while improving social skills and having fun in a unique environment. Therapeutic Horseback Riding is a mounted program in which participants are taught horseback riding skills while simultaneously working on cognitive, physical, and/or emotional objectives. 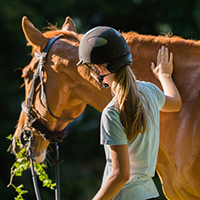 Through a curriculum of activities designed to address individual needs, each riding lesson is planned to help individuals achieve their personal goals. 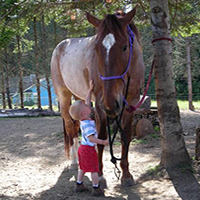 The riding program includes aspects of the Therapeutic Horsemanship program. Students build confidence, self-esteem, and leadership skills while learning to ride. 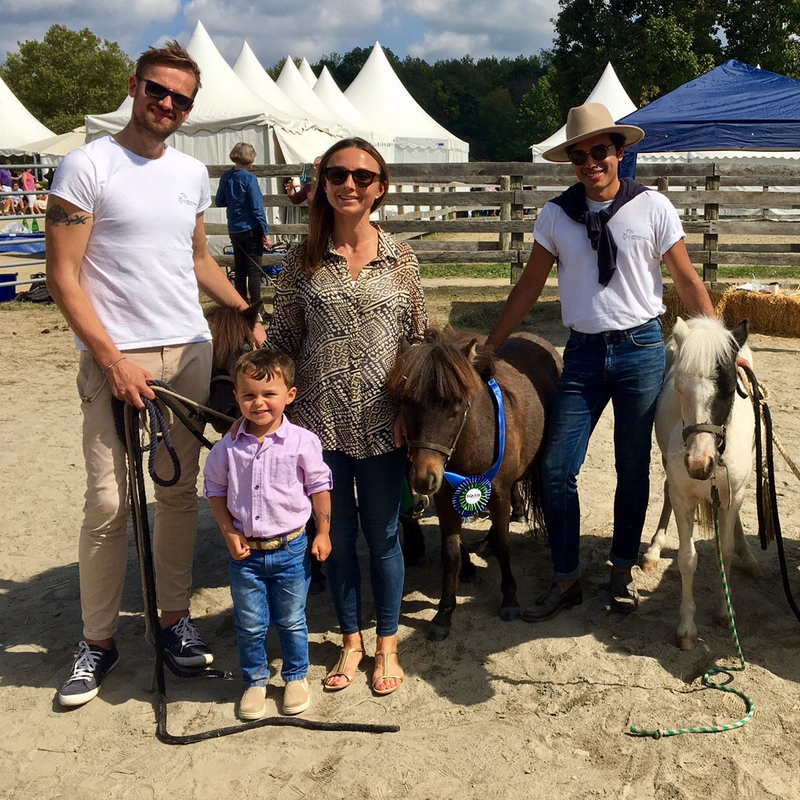 As riders gain comfort and confidence they will tackle new and more challenging riding activities which additionally stimulates motor skills and sensory awareness. Therapeutic Horseback Riding is tied to specific learning objectives set by the therapeutic riding instructor with input from parents, teachers, and caregivers. Whispering Manes has a program specifically designed for Military Veterans. Working with recreation therapists from the Veterans Administration Medical Center we offer current and former service personnel suffering with physical disabilities, post-traumatic stress disorder, and other anxiety disorders the opportunity to learn horsemanship and horseback riding. Our goal is to provide veterans with a quiet, peaceful environment where they can learn to interact with horses in a way that encourages emotional and physical healing, and a pathway to readjust to civilian life. By facing new challenges in a safe and secure setting, service members take important steps towards regaining control of their lives: they learn new skills, practice and understand the importance of verbal and non-verbal communication, and develop a strong bond based on trust and mutual respect with their equine partner. Whispering Manes offers a Summer Camp for parents who are looking for an experience that allows children to be in a unique and sensory-rich environment. The summer camp is a weeklong, full day program. The daily schedule includes horsemanship (grooming, tacking, feeding, and handling) and horseback riding for every camper. The camp also offers a variety of non-horse related activities throughout the week. Non-horse activities include yoga/stretching, scavenger hunts, designing and building obstacle courses for campers and their horses to do together, horse-themed arts and crafts, and games and water fun in the field. 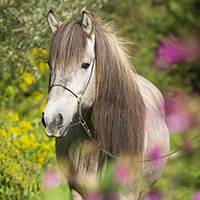 We do not have the staff required to manage pregnant mares or to train foals. We have no policy against having such animals on property, but we cannot properly care for them with current staffing. Updates are not a formal part of our agreement, but we re-home so few horses and they only go to people with whom the organization has a relationship, so updates are shared freely. No horse will ever leave the program to be re-homed with someone that does not have a relationship with the organization. 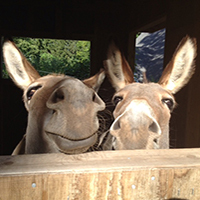 We have re-homed only two horses - one went to a volunteer and one went to a staff member. Whispering Manes Therapeutic Riding Center is a Professional Association of Therapeutic Horsemanship (PATH) International Premier Accredited Center. Additional explanation: Unmounted hours for the horses are counted the same as mounted hours. We do not distinguish the hours if the horses are working with program participants. Horses do not work more than 10 hours per week. Additional information about this instructor: Certified CPR, First Aid, and AED- renewed annually. Completed course work and teaching hours for PATH International Vaulting Instructor- certification pending workshop completion.